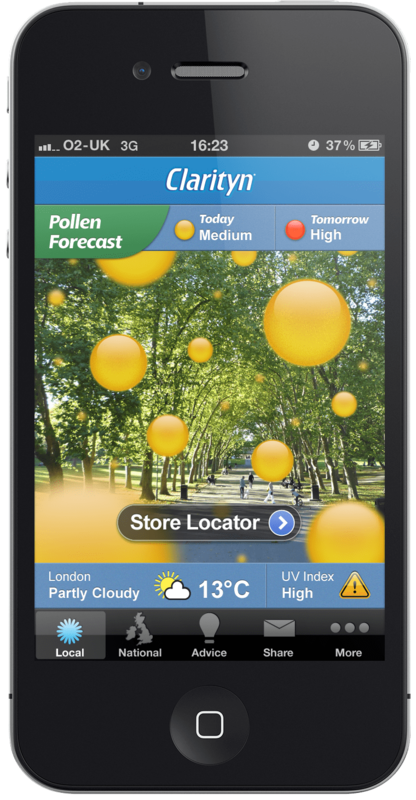 I helped create an award winning, first to market iPhone pollen forecasting app. 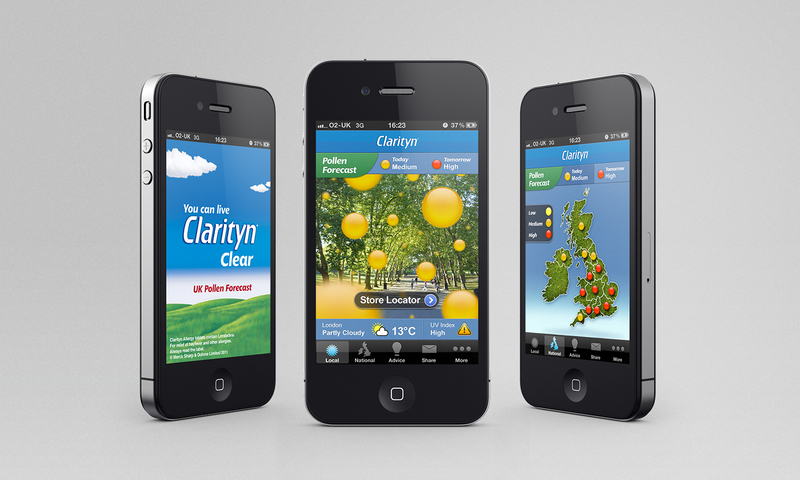 Clarityn is one of the UKâ€™s leading hayfever relief brands and wanted to use digital in a new way to stand out from their competition. Hayfever affects one in five people and as most off the shelf hayfever products are essentially the same, we needed to give Clarityn the edge on their competitors by creating something that would leave a lasting impression. Myself and the team at Golley Slater challenged the original brief to create display banners, by pushing for something that we truly believed would create much more cut through and build long term brand awareness. We designed and built an app that helps people to visualise pollen using augmented reality. The strength of the pollen was visualised by the intensity and colour of the on-screen particles, whilst the forecast is pulled in using real-time data from the users location. The app was a huge success, getting listed as Editorâ€™s Choice on the App Store and topping the weather charts for weeks. The app was also featured in multiple publications, including The Sunday Times Magazine and T3 Magazine, amongst others. Within weeks the app had been downloaded over 200,000 times and was awarded the 2010 Econsultancy award for mobile innovation. 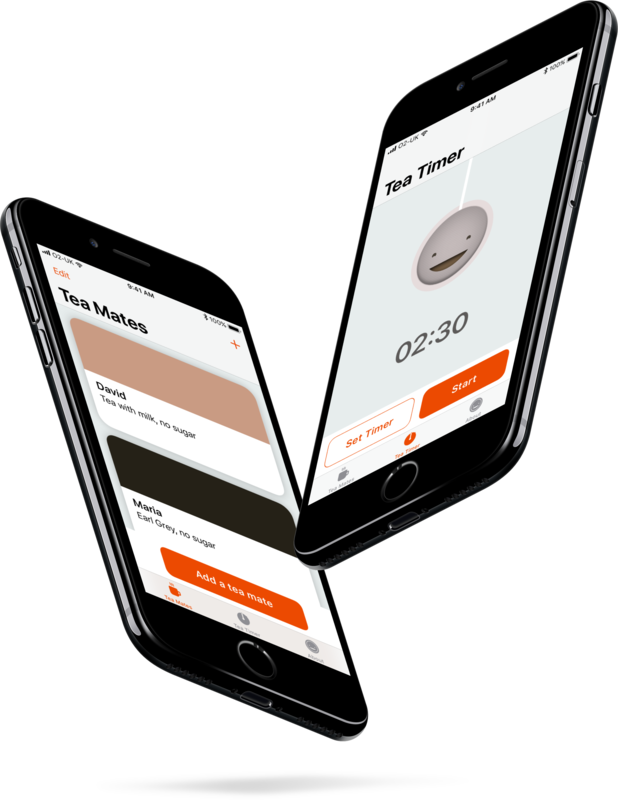 BrewTeaFul is an iPhone app that helps you keep a visual note of how your friends, family and colleagues like to take their tea so you can colour match to perfection. Specialising in quality bedroom furniture and mattresses, Feather & Black needed to create an online retail experience that would compliment their established high street presence. If you'd like to work with me, get in touch and let's get the ball rolling.